1. When will I receive my financial aid refund? 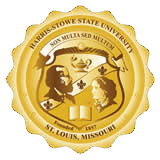 Please monitor your student account balance on MYHSSU. Once your aid is received and posted to your student account, any resulting credit balance will be processed and your refund will be issued within the next 14 calendar days. 2. How will I receive my refund? 3. Why do I have a billing hold on my account? If you have a balance due to the university, a billing hold will be placed on your student account. It is normal for you to have a balance due until all of your financial aid has been received and posted to your student account. Once all of your aid has been posted, and your refund has been processed, the hold will be removed. If you were not awarded sufficient financial assistance to cover your entire account balance, the hold will remain until your balance has been paid in full.